Dan Murphy's is the destination for the widest range of liquor at Australia's best prices. Each of our stores carries over 3,500 products including hundreds of spirits and beers, thousands of wines as well as over 5000 products available online. We stock cellar release wines and directly import wines and other liquor products from around the globe. 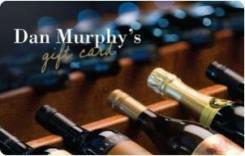 Dan Murphy's offers the Lowest Liquor Price Guarantee. That means shoppers can have confidence that when buying from a Dan Murphy's store, they are receiving the lowest price..